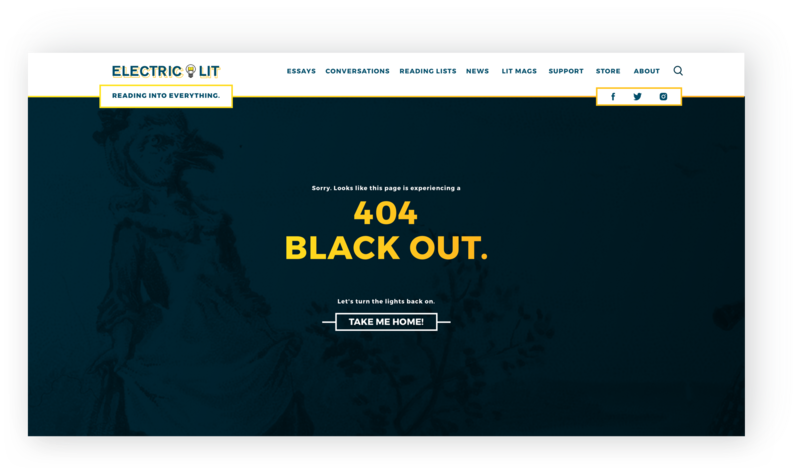 Electric Literature is an independent and non-profit digital publisher that focuses on emerging voices in literature and art, social justice, and contemporary life. 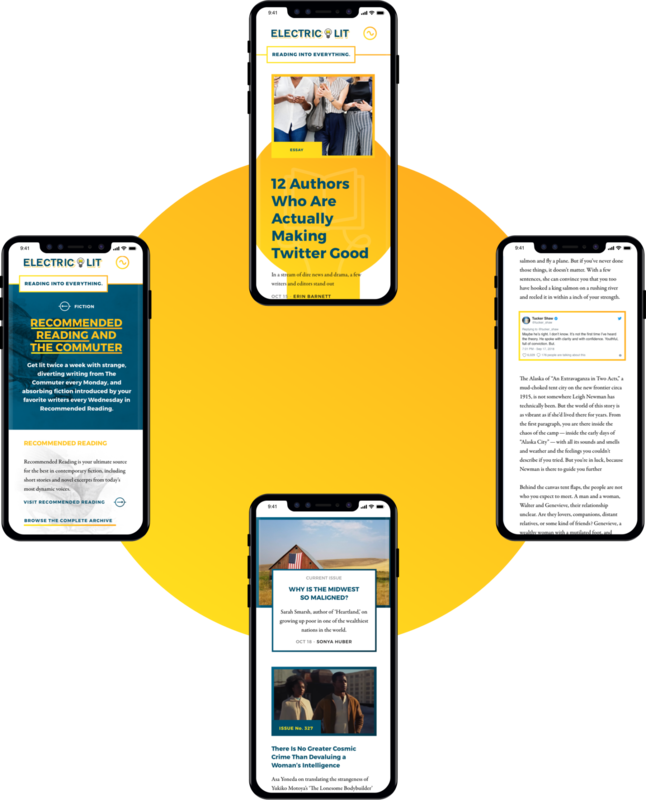 Electric Lit has had a steadily growing readership since their debut in 2009, but has never had a fully branded and customized digital home to call their own—that is, until now. 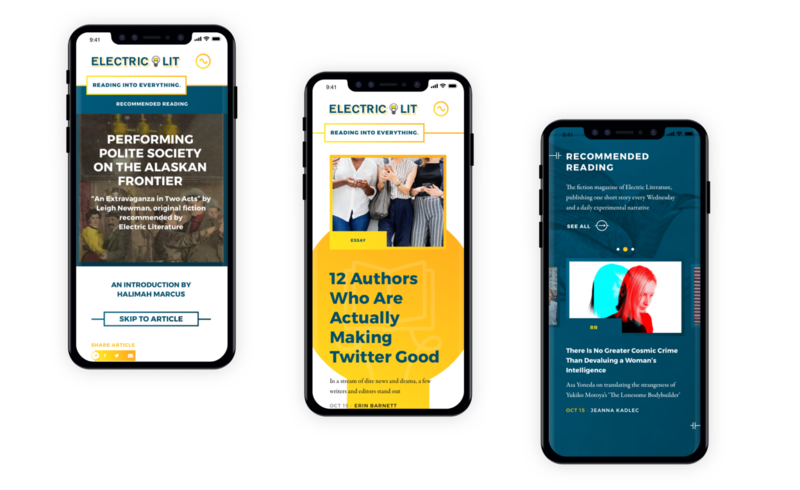 CMYK partnered with Electric Lit to migrate more than 5,000 pieces of content from their previous, feature-limited publishing platforms into a WordPress CMS that had been designed from the ground up to express their brand more fully and allow their articles more visibility. 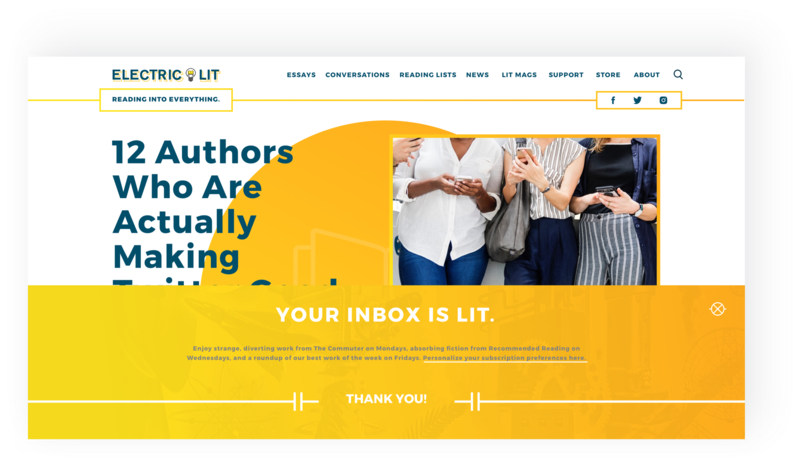 We also designed a custom series of icons and selected colors and fonts to be employed throughout the new platform in order to enhance Electric Lit’s brand identity and provide an overall sense of cohesiveness and a refined, yet playful, maturity to the site. 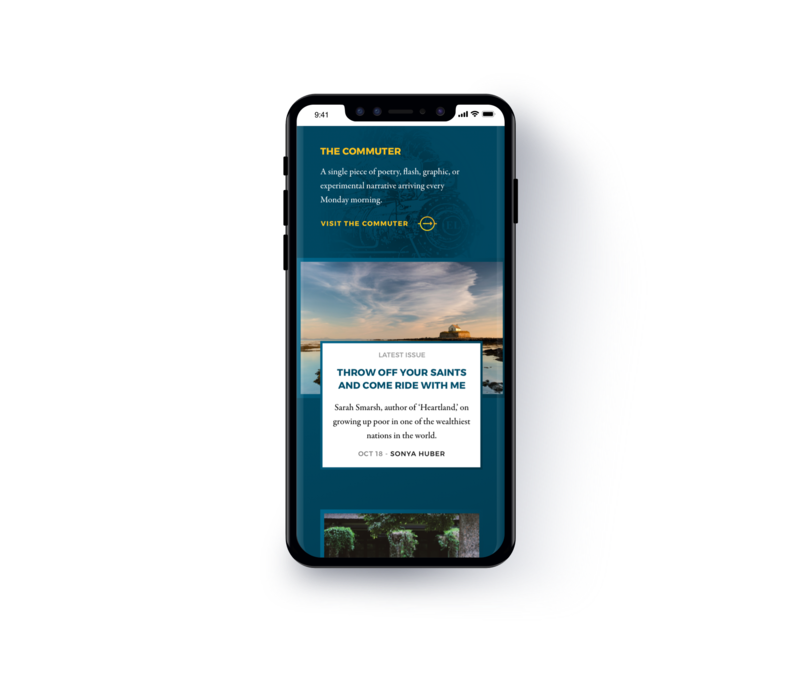 In order to enhance the discoverability of their content, we paid close attention to the information architecture that would serve as the backbone of the new site and integrated SEO best practices throughout in order to increase their search engine rankings and thus the reach of their brand. 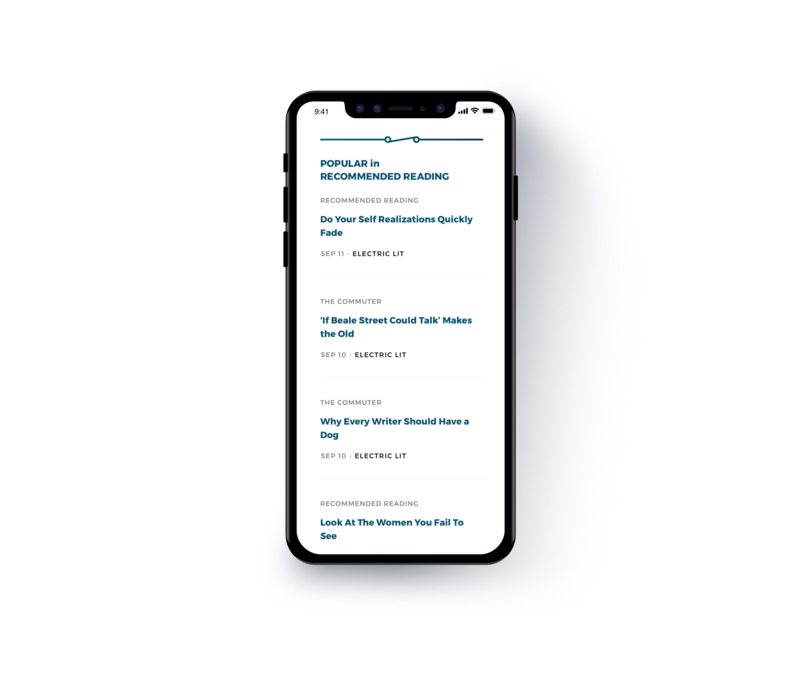 We also built out several features to allow their editorial staff to curate content more intentionally and effectively, such as through a customizable recommended reading widget, in order to increase user engagement and retention. 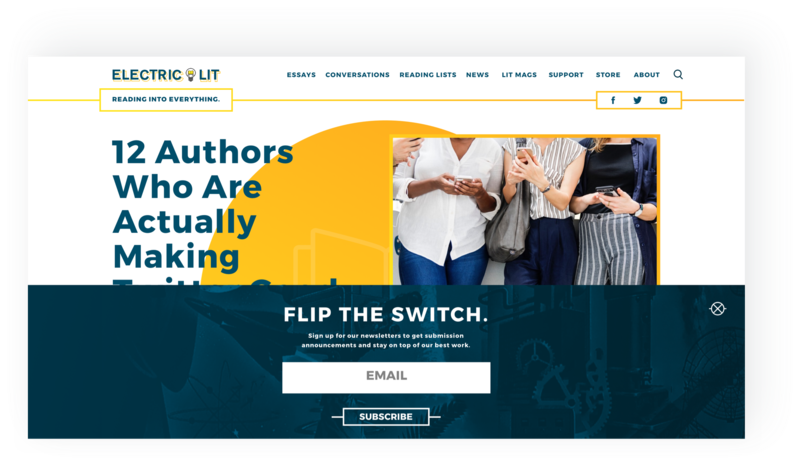 Finally, we developed an ad integration and placement strategy in order to help Electric Lit monetize their platform, so that they can continue to offer some of the best writing online well into the future. 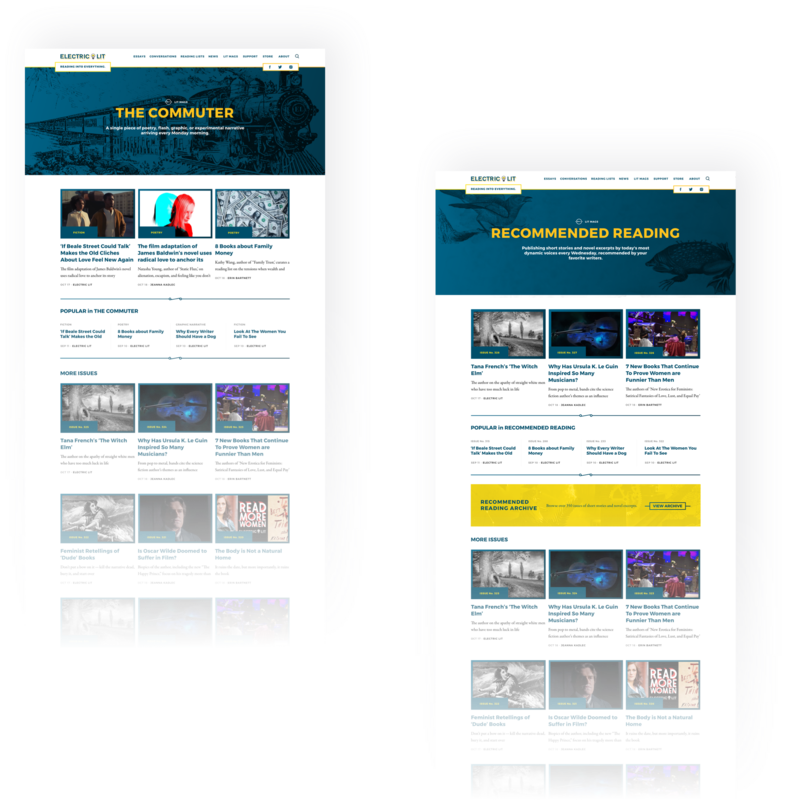 Cheers to ten more years!